On March 10, 1879 the St. John’s newspaper “The Temperance Journal” reported on the early development of a relatively new movement advocating for the prevention of cruelty to animals. Prowse and others did press on and in his lifetime he saw the establishment of the Newfoundland Society for the Prevention of Cruelty to Animals (SPCA) in 1888. 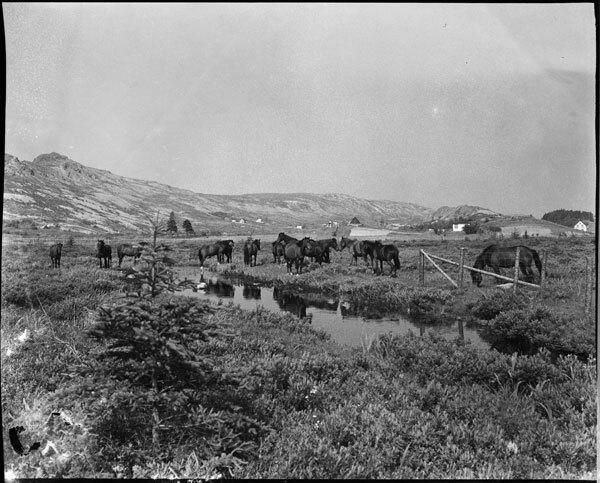 The first work of this newly formed Society was mostly amongst horses, and the hardship they endured from pulling heavy loads up steep hills from the harbor. This entry was posted in Archival Moments and tagged animals, Dogs Life, Goat, James Murray, Judge Daniel W. Prowse, Prowse, SPCA. horse on March 9, 2015 by Larry Dohey.